With the end of the official southwest (summer) monsoon season, the IMD, on October 3, issued a forecast outlook for northeast monsoon season, which lasts from October to December. The IMD predicts that rainfall during the season will be “normal” and likely to fall within 89 per cent to 111 per cent of the average rainfall of 332.1mm. While large parts of India depend on summer rains, the northeast monsoon is still crucial for several southern states which receive about 30 per cent of their annual rainfall during this season, with the exception of Tamil Nadu, which receives nearly half its rains during these months. The IMD has cited neutral El Nino conditions in the Pacific and the neutral Indian Ocean Dipole (IOD), both of which have a bearing on rainfall in the Indian subcontinent, as supporting evidence for the outlook. The IMD has used statistical regression analysis to formulate the forecast. However, the details of the outlook are sparse. There is no break-up of the probabilities of different scenarios, and no information on the probabilities of distribution during the season. 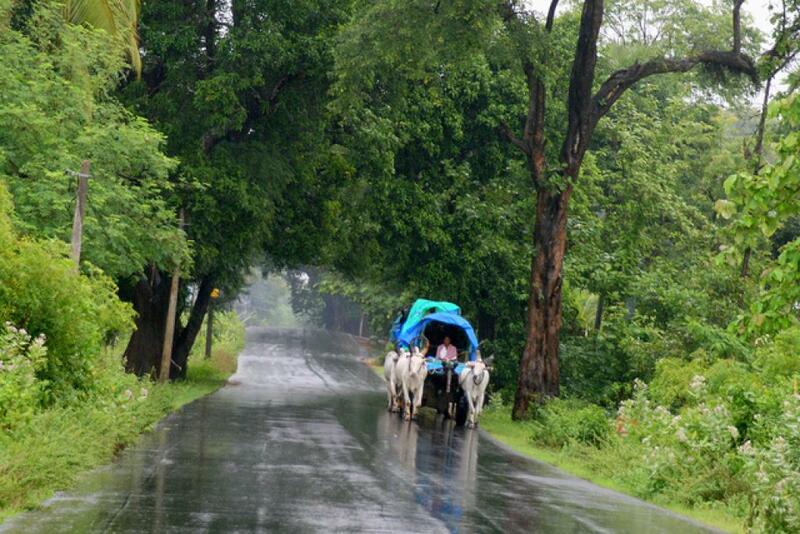 "Forecasting predictability for the NE monsoon is typically lower than for the SW monsoon. The performance is equally influenced by monsoonal rains as they are by cyclones since the monsoon coincides with the cyclone season. The intra-seasonal variability is high and the uncertainties are much larger. So, it becomes difficult to predict the probabilities of different rainfall categories and hence, you also have the large margin of 22 percentage points even in the forecast that has been issued,” says Sivananda Pai, head of the Climate Prediction division at the IMD. On paper, the southern peninsular region received good rains during the summer monsoon. Tamil Nadu and Rayalseema sub-divisions received above normal rains while the four other sub-divisions that make up the region received normal rainfall. The season was incredibly volatile and a large part of the monsoon was spent receiving below normal rainfall, only to be compensated for a handful of days of heavy precipitation.